Love playing as a team? 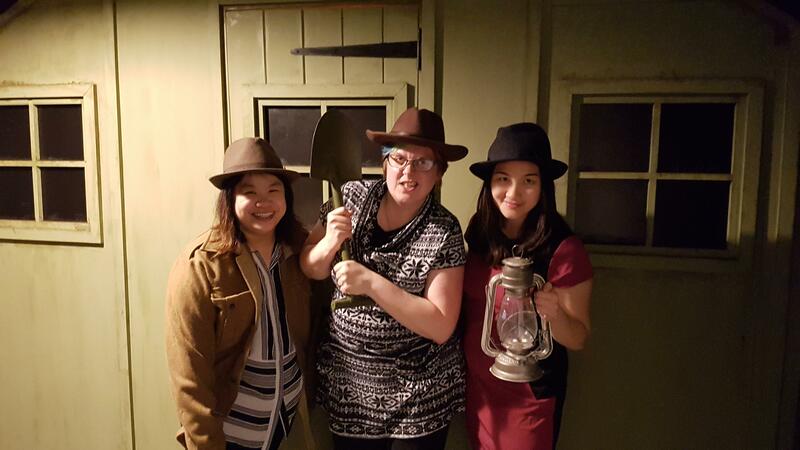 An Adventure Begins is an escape room set in the barracks of a P.O.W camp. It was up to a team of Love Pop Ups London members to quickly discover the legend of Bob Hails who is the only prisoner to have successfully escaped the camp. It was up to them to help evade the enemy and escape. Question is do you have what it takes to earn your freedom? Thanks to Escape Plan who let some members of the community of Love Pop Ups London come down to experience the game. Read all the community blogs/reviews from the comments section below. So the premise of the adventure is that it is WWII and we were captured by thr Germans and need to escape the POW camp. Another prisoner escaped previously and we found his diary that gives us helpful advice on how to proceed. Right away we found several puzzles and clues as to what to do, everything was laid out really well and matched the time period perfectly. An immersive escape room with real artefacts and perfectly designed escape room.. Read if we managed to escape? This particular adventure dates back to the WWII era where we are captured by the Germans and are now prisoners of war. Thankfully, we are in possession of a diary owned by a prisoner who previously escaped. In here contains cryptic clues leading us on the path to freedom. The puzzles to be solved were clearly labelled and everything matched the time period, making it an immersive experience. I really enjoyed this game as we were only 3 people and there was lots to solve. The location is accessible (wheelchair friendly) including the entrances and exits. Our host, Carlos was really entertaining, accomodating and funny at times providing a positive atmosphere to start us off. The location was really interesting as it looked like a prison bunker (not that I lived during that era) but during the duration of the game I felt like we were living in that period. I also liked that the puzzles and locks have a common thread so everyone knows what puzzle or riddle they are working on. There are some locks that are quite creative and fun to solve. Tip: If you have someone who speaks German, bring them along! It will speed up the process. Probably saved us at least 10minutes!